Their full-bodied sound and flawless harmonies are truly captivating. Listening to the rhythm of their voices fusing to make beautiful music, it’s easy to forget that the robust sound that is giving you goose bumps is created by only three voices with no instrument in sight. No matter your age or where you come from, The Soil inspires awe in anyone who hears their unique and powerful brand of kasi soul. Their sound is a seamless blend of jazz, hip-hop, Afro-pop and soul that leaves you looking forward to hearing more. Buhlebendalo Mda (24) and brothers Luphindo (25) and Ntsika (24) Ngxanga came together in Tetelo Secondary School in Soweto seven years ago with the aim of entertaining other students. “We’ve always loved music and decided to form a choir,” Luphindo says. And from these humble beginnings, the trio has gone from strength to strength. 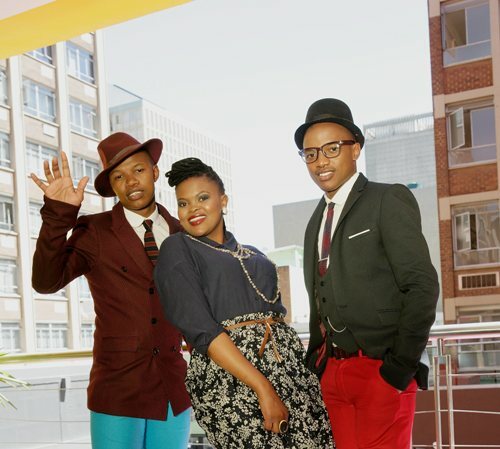 In just a couple of months, sales of their second album, The Soil, went gold. To the talented trio that make up this group, this success is attributable to only one thing – God’s love.